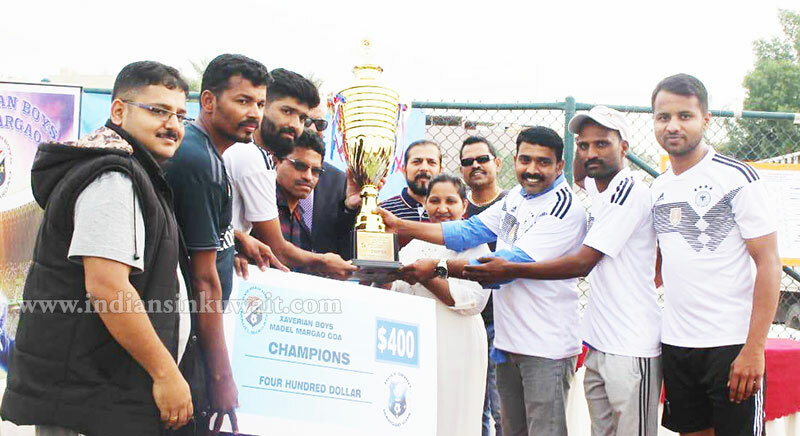 Kerala side PALPAK were crowned champions of the third edition 7-aside Football Tournament open for Asian countries organized by Xavierian Boys, Madel, Margao-Goa. The tournament was held at Bayan grounds on 22nd November 2018. 24 exciting teams from India, Bangladesh, Nepal and Sri Lanka took part in the one-day tournament. In the final PALPAK beat 3 Kings (Nagoa-Goa) 2-0, both the goals were scored by striker Inzamam. In the semi-finals, PALPAK beat favorites MAC Kuwait while 3 Kings overcame a star-studded Arsenal Palakandi. PALPAK comprised of Inzamam, Shamil, Vishnu, Nithin, Mansoor, Rashid, Arun, Antony, Siddique and Sharath. Babaprasad was the Team Manager. Runners-up 3 Kings consisted of Kistu, Xavier, Basu, Myron, Jay, Marcelino, Anthony Rego, James Rebello, Tiago Fernandes and Jascinto. Team was managed by Sylvester Pereira. 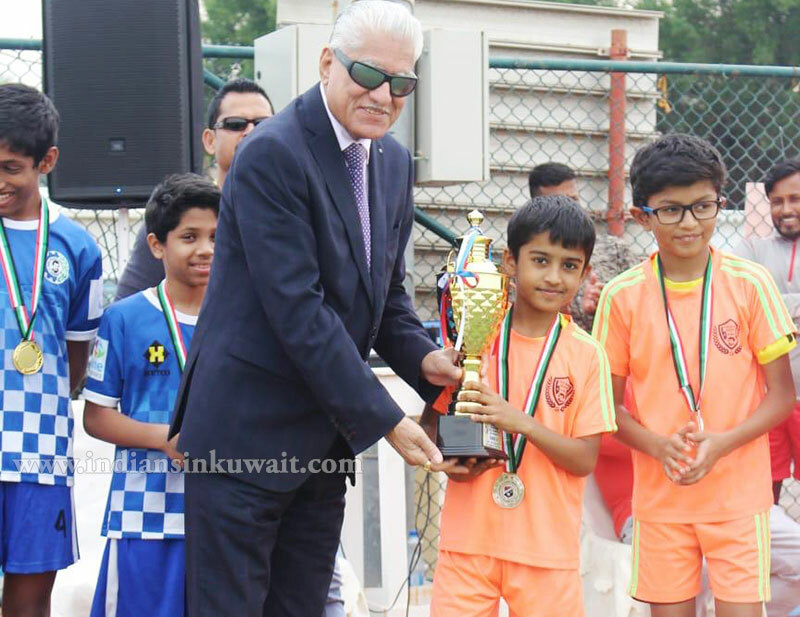 Founder member of Kuwait Indian Football Federation (KIFF) Mr. V.K. Vohra was chief guest at the event and spoke on the occasion. He was presented a bouquet of flowers, and introduced to the teams by chief coordinator of the tournament and President of Xavierian Boys Mr. Rafael Rodrigues. Other dignitaries present on the occasion included Mrs. Lourdina Rodrigues, Austin Abreo, etc. Mr. Vohra while congratulating the winners, praised Xavierian Boys for organizing a grand tournament. 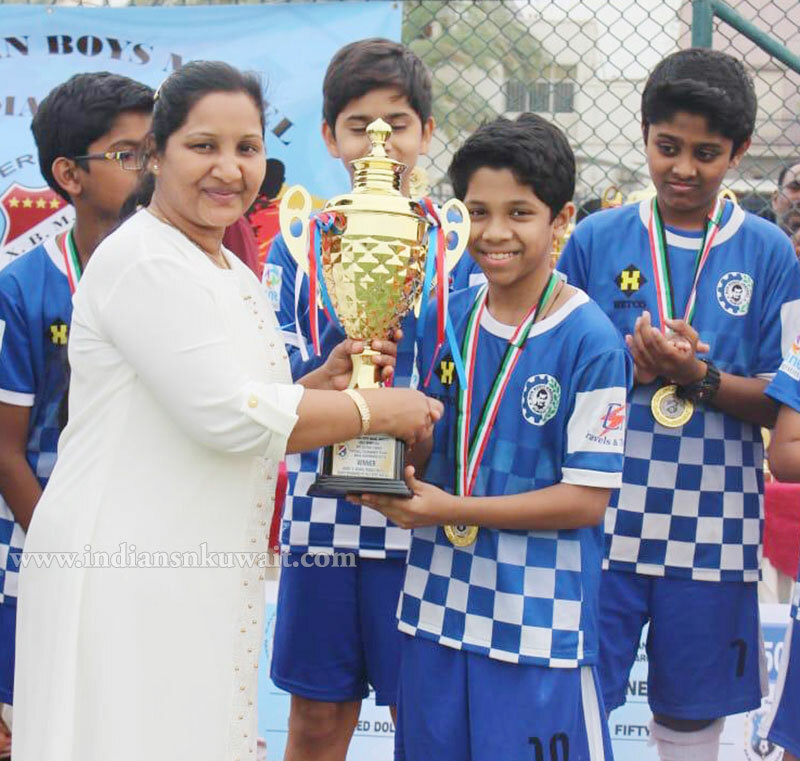 Earlier, an exhibition match comprising of Don Bosco Academy (Under-13) teams brought glamor around; it was a delight to watch the budding footballers. In the exciting match, Don Bosco Blues beat Don Bosco Orange 3-0. Dylan, Chris and Calvin scored for the winners. Dylan, Bevan and Shawn excelled for the winners while goalkeeper Cahill had little to do as the Blues held major possession throughout. Don Bosco Blue: Cahill (goalkeeper), Royston, Chris, Shawn, Bevan, Dylan, Ayman, Calvin, Elijah and Abhik. Don Bosco Orange: Rehaan Thanseeb, Samarth Dixit, Khaleed Anis, Sean Fernandes (goalkeeper), Allan Shijo, Wilbur Rodrigues, Shane Lobo, Prewil Crasta, Myron Fernandes and Myron Antao. In one of the best organized tournament, a number of glittering trophies and medallions were given away; cake was also served to all spectators. The event was made all the more spectacular with expert commentary by Gasper Crasto. The cool weather and energizing spectators made the tournament very attractive. Matches were officiated by Robert Bernard, Rafi Islahi, Edward Dias, Philip Ferrao, James Rebello, Basileo Rego, George, Tiago Fernandes, Rosario, Myron, Anthony Rego, etc. Prizes were presented at the hands of V.K. Vohra, Rafael Rodrigues, Mrs. Lourdina Rodrigues, Austin Abreo, Sylvester, James Rebello, Brazileo Rego, Avelino Dias, Fayne Fernandes, Brazileo Rego, Nazi Azavedo, Jimmy, etc. In the vote of thanks proposed, Mrs Lourdina Rodrigues of Xavierian Boys thanked all the participating teams, officials, sponsors and everyone who rendered their help in making the tournament a success. Mrs. Lourdina singled out Lulu Grand Hyper for their support towards the tournament. 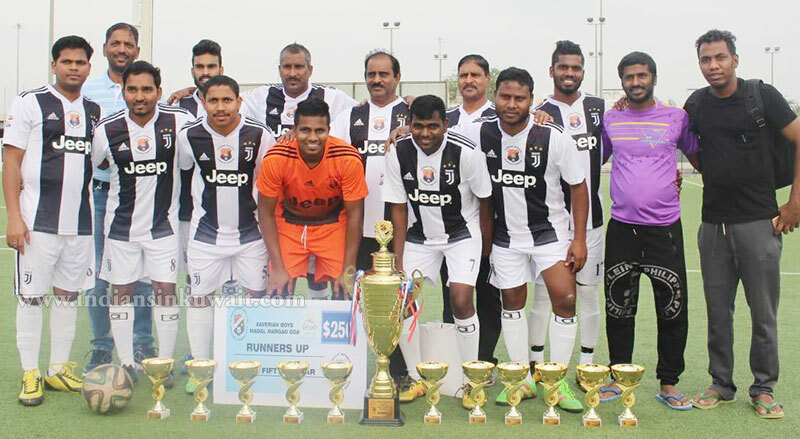 The tournament was sponsored by Lulu Grand Hyper, Wilson Pacheco (Muscat/Curtorim), Rabia Dourado, Cassiano D’Souza, Jacob Fernandes, Fayne Fernandes, James Rebello, Bosco Leitao, Philip Vaz, Salcete United, Thomas Crasto, and a well-wisher. Later in a statement, chief coordinator Mr. Rafael conveyed special thanks to Mr. Derick Gomendis, James Rebello, Christopher Ferandes, Don Bosco Football Academy, etc. Gasper Crasto compered the prize distribution ceremony. Photographs were captured by Lionel Nazareth. 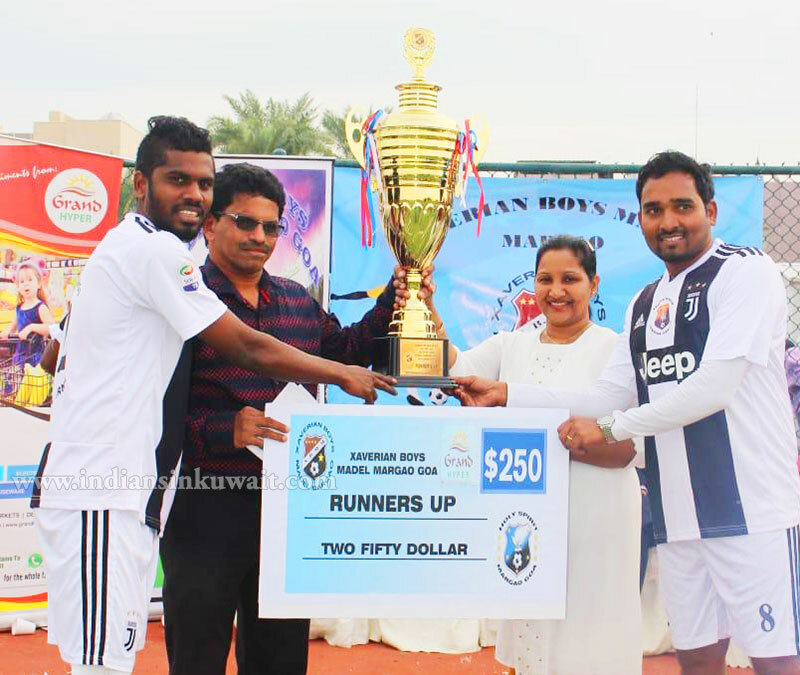 Apart from trophies for Winners, Runners-up and semi-final losers, the winners and runners-up were awarded cash prizes and glittering individual trophies.